...IT BETTER BE A GOOD ONE. By last October, the United States Men’s National soccer Team had already secured its place in the 2014 World Cup. The Americans had a final match to play in the qualifying rounds, a road game against a Panama team that could stamp its own ticket to Brazil with a victory. But the USMNT didn’t need a win—in fact, a loss would ensure that their bitter rivals Mexico missed out on the Cup altogether. In the 92nd minute of the game—two minutes past the end of regulation, during extra time—the U.S. knotted the game at 2 on a header by Graham Zusi. At that point some of Panama’s players began urging the Americans to take their foot off the gas. 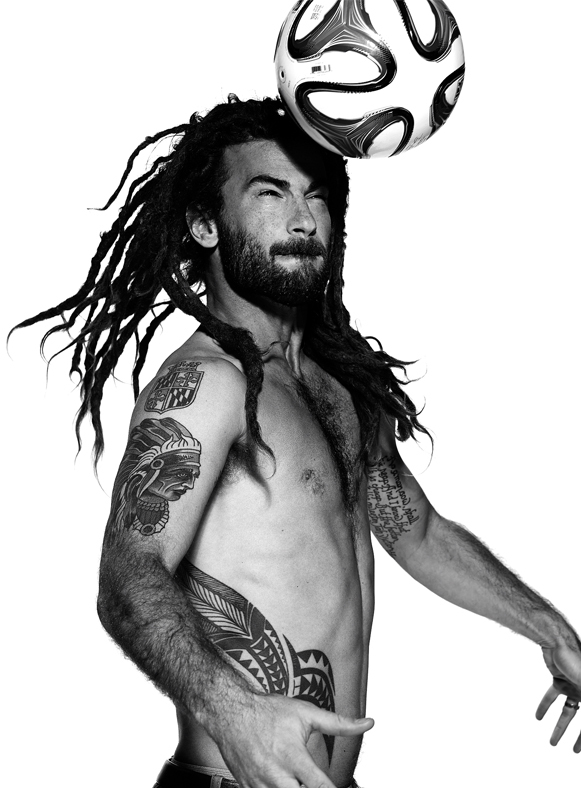 “It was weird,” Beckerman says, shaking his head. “You just don’t do that.” Ignoring their pleas, the U.S. completed the comeback a minute later when second-half substitute Aron Johannsson crushed a shot from outside the penalty box into the lower left corner of the goal, winning the match 3-2. The summer of 1994 was notable for many things: the withdrawal of Russian and American troops from Berlin, the O.J. Simpson trial, the release of Craig Mack’s “Flava in Ya Ear.” It was also the year that the U.S. hosted the World Cup, and modern soccer in the U.S. was born. Led at the back by the no-nonsense defender Alexi Lalas—with his long orange mane—and at the front by versatile midfielder Cobi Jones—with his trademark wild locks—the USMNT combined a counter-attacking style of play with a strong physical presence to forge the identity of the American game. Not only did they establish the U.S. brand of soccer on the pitch, they brought the game to a broader American consciousness in the process. 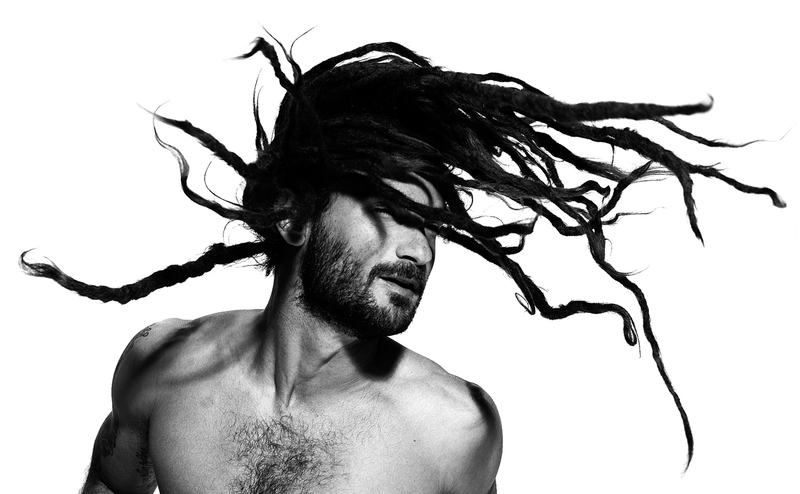 Born in suburban Crofton, Maryland, Beckerman started cultivating his signature dreadlocks at an early age. His hair first started knotting up in middle school, and while he didn’t mind being the proverbial “white guy with dreads,” his mother wasn’t so crazy about the idea. “I’d have maybe one or two,” he recalls. 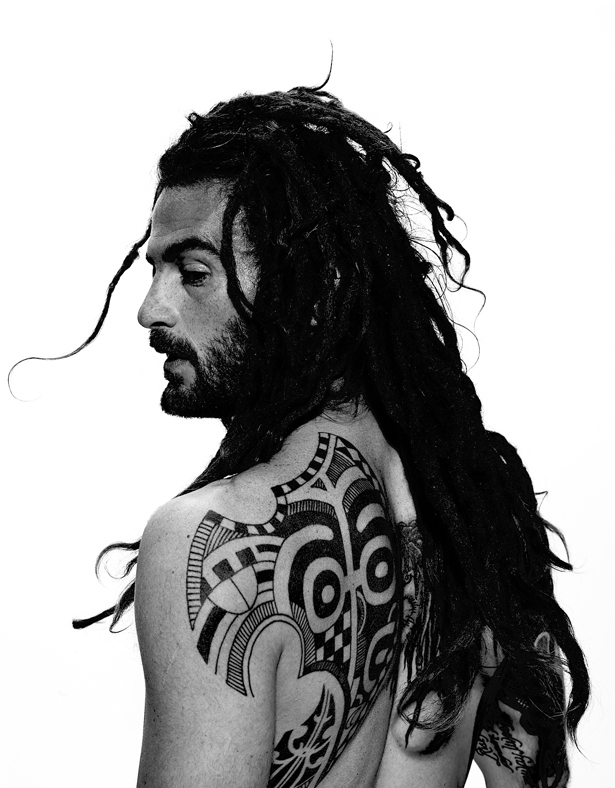 “Mom would find out and she’d be like, ‘Get in there and rip those out.’” But as with soccer, so with hairstyles: Beckerman has always understood the power of persistence. This time around Beckerman will be making his Cup debut under new coach Jurgen Klinsmann, who appreciates his persistence and work ethic. “Kyle is a role model of maximizing everything he has,” Klinsmann has said. “If I need someone to point to and show another player how to maximize your potential then you look at Kyle, because that is why he is here.” Leading by example, Beckerman lets his play and work ethic do the talking. Beckerman isn’t just well-suited to be the flag bearer for Major League Soccer in the United States; the role was tailor-made for him. There are other stars on the team: midfielder Michael Bradley, forward/attacking midfielder Clint Dempsey, and winger Landon Donovan. But Beckerman is the anchor of the US midfield—and he’s spent 14 years fighting for club and for country, at home and abroad. The holding midfielder’s contributions might not show up in the postgame stats, but he can be the player who brings a winning team together. Since his move from Colorado in 2007, Beckerman has made 180 league appearances for Real Salt Lake, who won the 2009 MLS Cup after sneaking into the playoffs with the last Wild Card spot in the Western Conference. Even more impressive, their improbable victory came on the heels of a disappointing home defeat in the conference finals a year earlier. Despite the time he spent with the national team in 2013 for the Gold Cup and World Cup Qualifiers, Beckerman still made his impact felt in the MLS. He racked up four goals and six assists in 26 appearances for the club last year, but his greatest contribution was the stability he’s brought to the squad. “He was always in the right spots and always composed on the ball,” said RSL teammate Nat Borchers after a 2-0 victory over Seattle last June. “When you have a guy like that, a leader who brings his ‘A’ game, we’re not going to lose.” All the same, orchestrating victory against Seattle in MLS competition is one thing. Rallying America against the best national squads is quite another. Success on the international level will help the MLS as well. Long relegated to the second tier of global professional leagues, the MLS is clearly on the rise, with high-profile US players like Clint Dempsey and Michael Bradley returning to North America after successful stints in Europe. Dempsey signed with the Seattle Sounders for nearly $7 million per year, while Bradley has a $6.5 million deal with Toronto FC. They are the beneficiaries of David Beckham’s ground-breaking move to the Los Angeles Galaxy in 2007, which ushered in the designated player rule. The regulation allows MLS franchises to compete globally for top-flight talent by signing up to three players outside of the league’s salary cap. Still, Beckerman is adamant that these moves aren’t just about money, and that this is anything but a step back for the likes of Dempsey and Bradley. “I think those guys are going to take on big responsibilities here. They are going to be playing for championships. They’re going to have more pressure now than they did with their old teams in Europe, because of their high-profile signings, and I think that’s going to help them help the national team.” Speaking of pressure, the continual rise of soccer in the U.S. puts the onus on Beckerman and his teammates to make a good showing in the World Cup. Twenty years after Jones, Lalas, Ramos, and Wynalda donned their famous denim kits, the US is no longer considered an interloper in the global game. Yet, despite being in the top 15 of FIFA’s world ranking for much of the last year, today's team still has much to prove. And of course a strong showing from the USMNT in Brazil is the most high-profile way for the Americans to show the world the growth of the game at home. After a decade when the makeup of the US team featured scant representation from the MLS, this year’s squad includes 10 players currently playing professionally in the States.